It is great to see Google honoring Marie Curie’s birthday today on its homepage. They depict her in an impressionistic illustration working at her chemistry bench, so check it out. I just wanted to take a second to remember an amazing woman. Not to mention, last month was the 100th anniversary of her second Nobel prize. Her legacy continues as she still is an example for women in science. 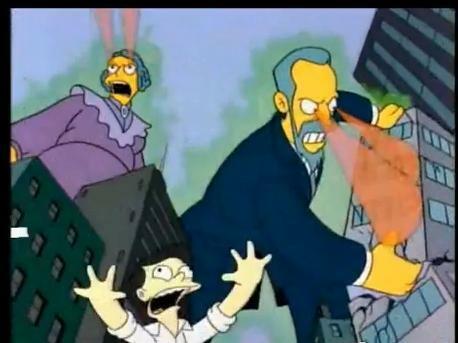 There are institutions and universities named after the Curies. One of her daughters, Irène Joliot-Curie, followed in her esteemed footsteps and won a Nobel in chemistry as well. So Happy Birthday Marie Curie, an example to us all! I admire her as she’s one of the few people in history to be a pioneer and take risks for the cause of scientific advancement. Marie Curie died a HORRIBLE death from radiation induced sicknesses, but she died for something she believed in. Sometimes scientific/technological advancement is pretty dangerous and there are always those dedicated few who think the knowledge or advancement is so important to humanity that they are willing to risk their lives to gain it. So hats off to her being both a pioneer of women’s strength and of scientific advancement. Unfortunately she’s only one of two women to ever win a Nobel prize in physics. Out of 191 laureates. Yes, sorry “won” is correct. I wrote this quickly this morning in the midst of editing another paper. There are only four total women who won in chemistry including Marie and her daughter. Granted, there were few female physicists in the past; probably Chemists as well, but not any more. The last Nobel prize in physics given to a woman was in 1963. Don’t forget the time she and Pierre destroyed Tokyo! Since we already had a word police moment I will add an art police moment. Google’s Curie logo is more pontilism which was an offshoot of impressionism. She loves science and wants to be a vet so I told her to make sure she practices all of her subjects because she would be surprised which ones will come in handy. As someone who have done fairly high-level math in my physics studies, I can safely say that math isn’t easy. But it isn’t really trying to be either. The only way to be good at it is to study hard, There is no gender-difference there. Just social pressure. She’s lucky to have parents who encourage her! Many thanks to the art police. I am by no means an expert in that. A possibly apocryphal story: having won the Physics Nobel, Marie and Pierre wondered what to do with the big gold medals – so they gave them to their infant daughter as playthings. Hence, said daughter, Irène, literally cut her teeth on a Nobel prize – and grew up to win her own. After some quick fact checking, I find that Irene was about 5 when the Curies won the Physics Nobel Prize, so she was beyond tooth cutting. (A second daughter, Ève, was born about a year after the prize, but she became a writer and pianist rather than scientist.) I haven’t found a reliable source for the story that the prize medals were used as playthings.